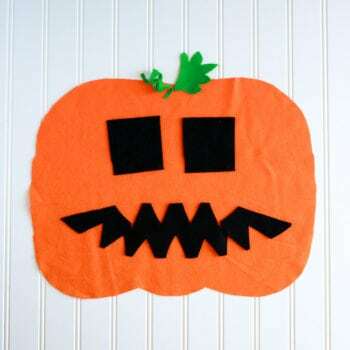 Felt Pumkin Faces can be created over and over again! 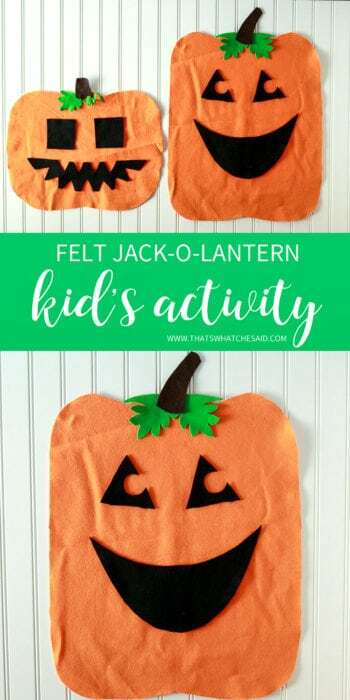 Let your kids entertain themselves while they make different faces on this Felt Jack-o-Lantern Halloween Kids Activity! 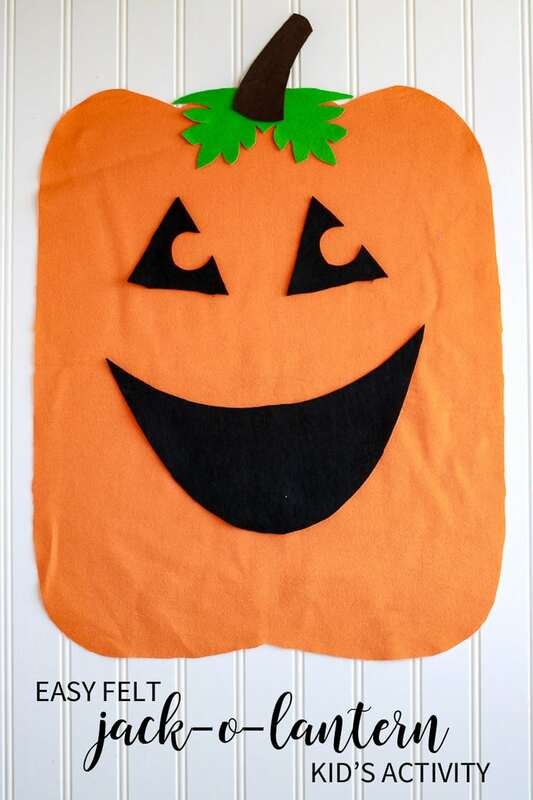 This Halloween version of my Children’s Felt Christmas Tree is the perfect way to keep your small people out of your décor and let them have fun at the same time! Did I mention they can have a jack-o-lantern of their own with no mess too!? This post may contain affiliate links. 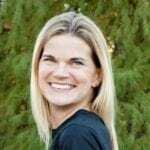 Using these links I earn a small commission at no additional cost to you. 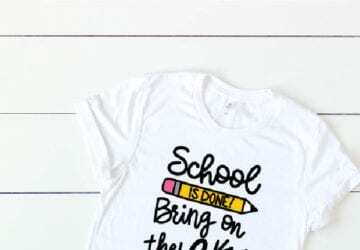 You can certainly use this little project as a great learning opportunity for smaller ones! I cut eyes and mouths out of black felt using lots of different non-Halloween shapes! Like these squares, you see above! I also did triangles, circles, and hearts! As Spangenbaby makes different jack-o-lantern face designs, we can talk about the different shapes he is using! P.S. 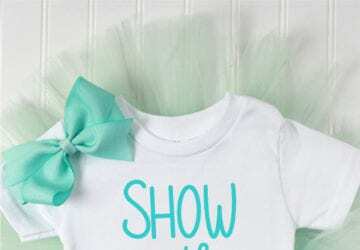 hearing a toddler say “circle” is about the cutest thing ever! 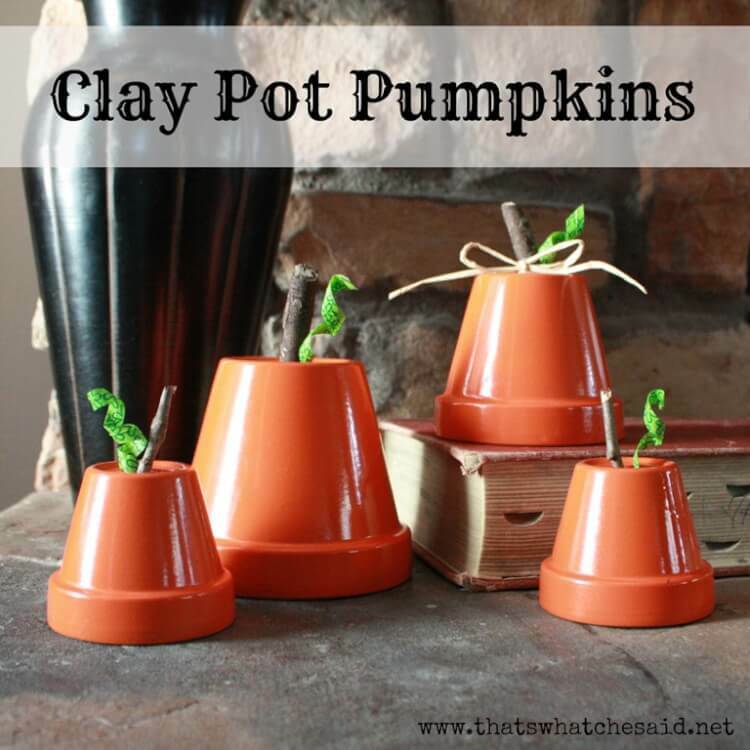 These are so easy to make and you make them however you’d like! *If you cannot find orange felt sold by the yard, then use orange flannel. It works just as well and the felt sticks great to it and it’s easily accessible!! 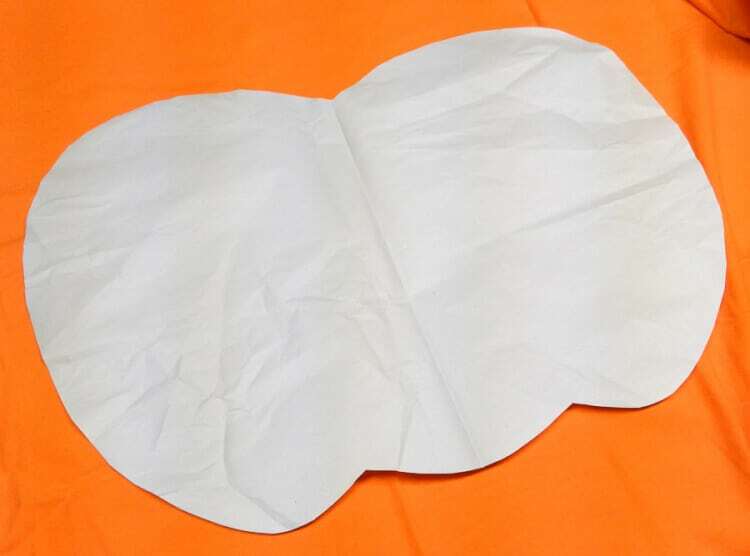 I started out using some scrap paper (the kind they use to wrap fragile items at stores) the draw a few different sized pumpkin body shapes! I cut that out to see if I liked the shape. I folded it in half, folded my felt, pinned and cut out. You can see I didn’t really like that dip at the top so I cut straight across! I cut out three pumpkins because I have three pumpkins :) So they each had their own. 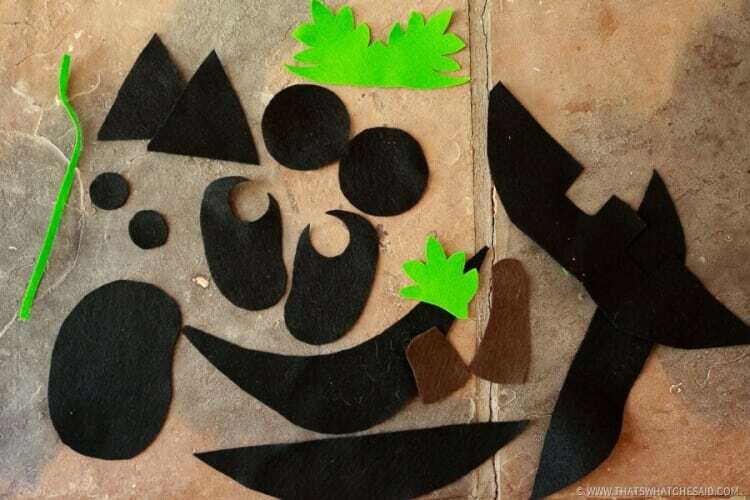 Next, with the felt sheets, I cut out brown stems, green leaves and curly q’s and then black shapes for the eyes and mouths of the jack-o-lanterns. 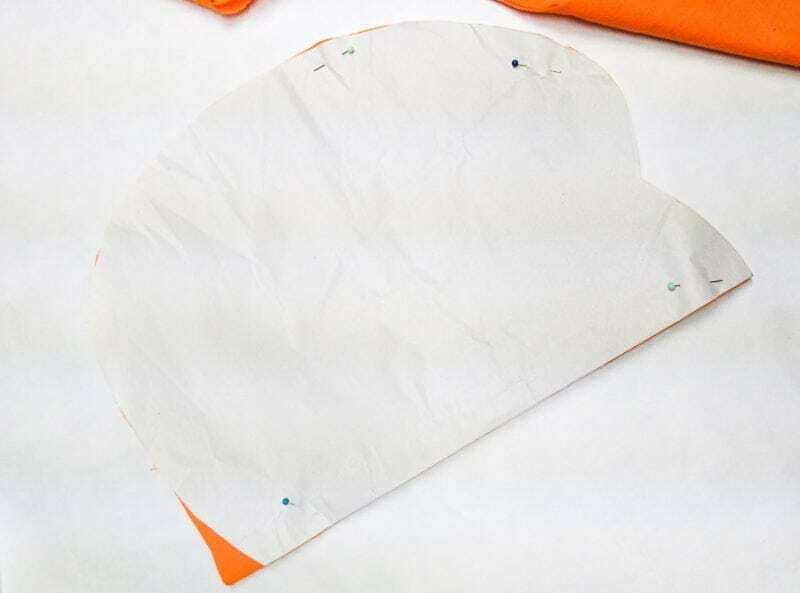 Now using your double sided POSTER tape (different from double-sided tape) adhere your pumpkins to the wall. 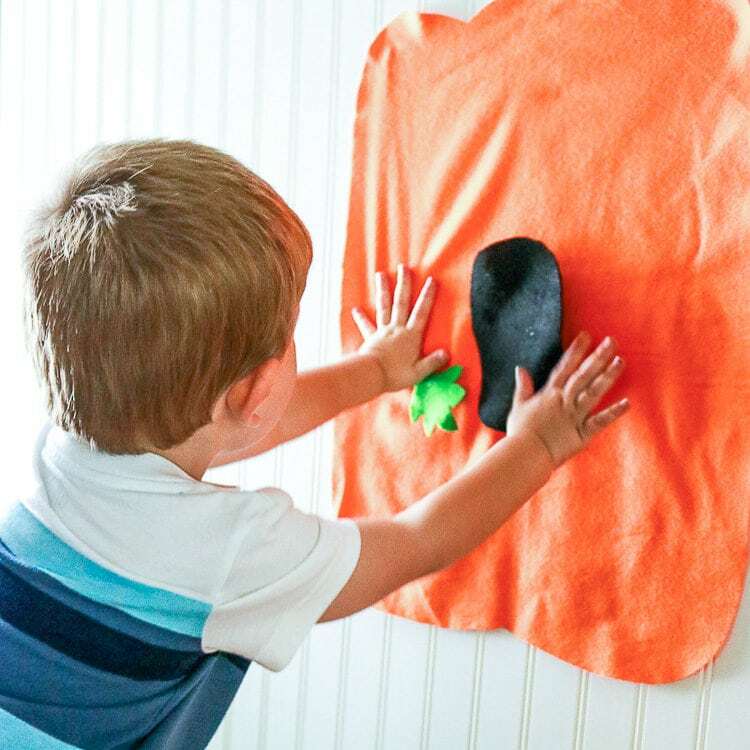 You can also use magnets if you have a metal door that is free for some jack-o-lantern fun! 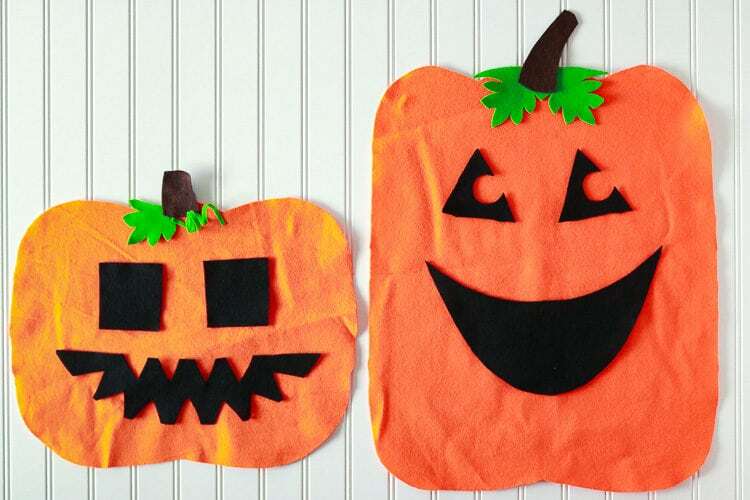 Let the kids go wild decorating them and making silly faces on this super fun Halloween Kids Activity! 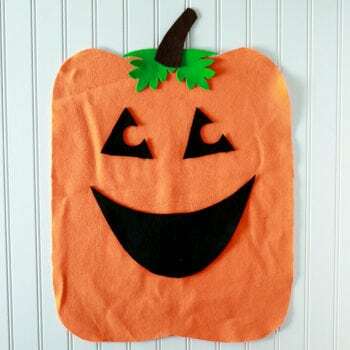 You can find all my other Halloween Projects as well as more Kid’s Activities too!